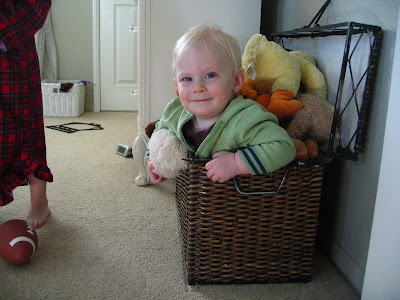 I'm not sure who put whom in the animal basket, but Mason sure fits the part! Steph...haven't been here in a while but enjoyed getting caught up! 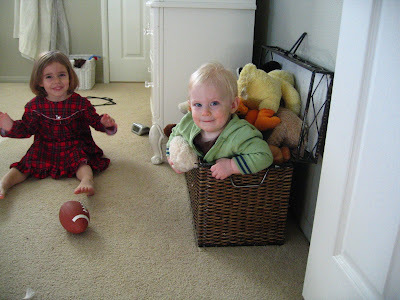 Your children are adorable and hilarious! It looks like you enjoy them to the fullest! You are in my prayers as a fellow wife and mommy!